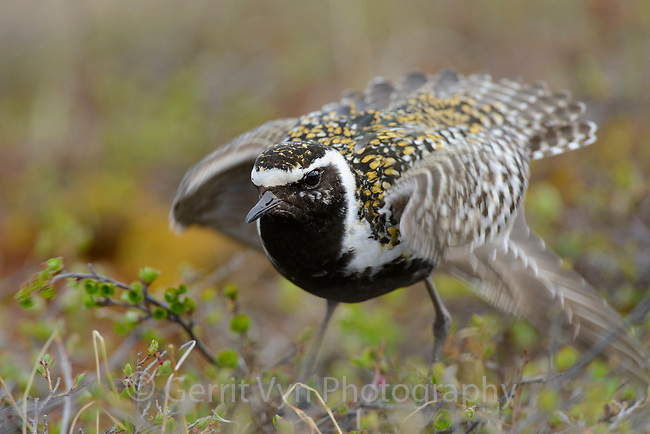 Male Pacific Golden-Plover (Pluvialis fulva) performing distraction display. Yukon Delta National Wildlife Refuge, Alaska. June.